Town Centre Securities PLC today announces that it has exchanged contracts for the sale of Rochdale Central Retail Park and its adjoining 4.7 acres of land to Rochdale Council for £13.2 million, payable in cash on completion. As at 30 June 2018 the combined site was valued at £14 million and generated annual net rent of £1.15 million. 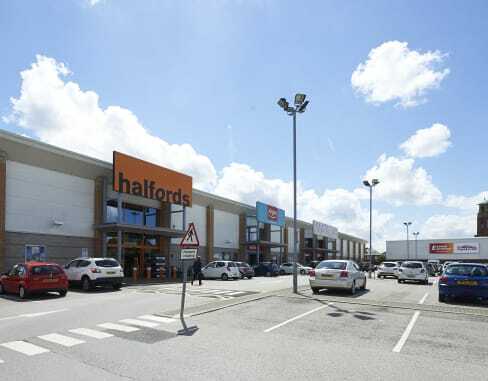 The park totals 70,000 sq ft with current tenants Argos, Halford, Matalan and Poundstretcher all with relatively short leases. Through its prior ownership of the Rochdale Canal Company, TCS has actively managed a number of developments around Central Retail Park. As a result, the park is strongly let at an average of £16.50 per sq ft, although this is ahead of current market rates. Having reduced our exposure to retail and leisure from 70% to 55% of the portfolio over the past two financial years, this further disposal reduces that exposure to 52% on a pro forma basis. The sale is unconditional and is expected to complete on 4 January 2019. The proceeds will initially be used to reduce TCS’s indebtedness. “This disposal is in line with our on-going strategy of repositioning TCS’s portfolio; reducing our exposure to mature out-of-town retail, and enabling further diversification of our assets and investment in our development and investment pipeline. “Despite making significant improvements to the retail park in recent years we identified this asset as having further downside potential. This sale removes that risk whilst at the same time having the benefit of lowering debt and giving further headroom for future investments.